Home » Posts Tagged "Radio Waves"
Most of us use a cell phone. Some of us cannot even separate from that as if it was an inborn hand extension. All of us have heard rumors of lurking health risks go about. 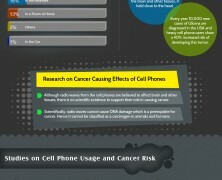 This report outlines the way people use cell phones and highlights the results of studies that correlate mobile phone technology with various health issues.